It’s no secret that Palm Beach is among the most desirable places to live. Every day, people flock to this idyllic community to set up their new home. Of course, for the folks who are already residents, there is ample opportunity to move within the community. Many homeowners are opting for downsizing as a way of improving their quality of life. This doesn’t mean you need to move from a mansion to a studio apartment. However, if you’re living in a home with more rooms than you need, it might be time to consider a more manageable space. Downsizing also frees up a lot of your time. If you can find a home that is part of a planned community, then the homeowner’s association can handle mundane chores like lawn care and home maintenance. Do you want to spend the rest of your life mowing your lawn or cleaning out rain gutters? If this is something you’re serious about, then you should also get serious about tossing out your unwanted stuff. After all, there is no need to take junk with you into your new home. What is junk? It doesn’t have to be something that is rusty and sitting in your backyard. Junk can be those things that are no longer of use. Maybe that’s an old microwave that you put in the garage when you replaced the unit. It could be a bedroom set that your kid outgrew that is stored in the basement. Then there are all the unworn clothes and shoes taking up valuable space in your closet. That’s all junk and it should be turned over to Junk King. Junk King is part of a national franchise who take junk hauling very seriously. They’re going to make sure your clutter is picked up and loaded without you lifting a finger. In fact, having that two-man moving crew is one of the big benefits of hiring Junk King for your junk hauling needs. It’s amazing how much you can get rid of when someone else is doing the lifting and loading! 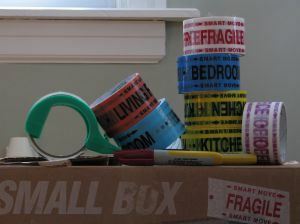 If you are moving, having Junk King take away these unwanted items is going to save time and money on the big move day. Of course, you don’t have to wait for a move to hire Junk King. They are standing by to take away your clutter all year long. When you’re ready for some professional junk hauling done right, Junk King will be ready for you. This entry was posted in Palm Beach Moving And Junk Hauling and tagged junk hauling, Junk King, Palm Beach Moving And Junk Hauling on April 29, 2014 by Dave Archer. Last updated July 31, 2017 . Show of hands? Who has an old computer taking up space in a closet? Hopefully, you have all the data off of the computer and it’s just out of date. What about a bulky tube-style television in spare room? Perhaps that television was replaced with a flatscreen model but you had nowhere to put the old set. What about broken fax machines or printers? Are they collecting dust in your garage or attic? All of those items would be consider e-waste and they can’t be thrown out in the trash. That’s because this pieces could end up releasing toxic compounds into the environment if they are left to dissolve in a landfill. Instead, they need to be taken apart and those potentially hazardous parts have to sorted out. That requires a specialized facility. Would you know where such a facility is located in Palm Beach? You don’t have to know if you let Junk King handle your e-waste recycling. If you hire Junk King to pick up your old computers, TVs or office equipment, then you can rest assured it will be properly disposed of. One of the first things that Junk King did when it set up their professional junk hauling business in Palm Beach is to know where all the recycling centers were located. These facilities are part of the daily drop-off rounds made by the Junk King crews. Not only can Junk King handle your e-waste recycling, but they can also make sure you other oversized items are recycled as well. This means an old sofa, stove or mattress doesn’t have to end up in a local landfill. Junk King will make sure it is given a shot at being repurposed and reused. Every Junk King e-waste recycling appointment comes with a capable crew who will do the lifting and loading. Don’t bother pulling anything up from the basement or down to the curb. Let the Junk King crew work their muscles and you can avoid the back strain. What will this e-waste recycling cost? You’ll be pleased to know that Junk King only charges a fee based on the volume that your junk takes up on the back of the Junk King truck. There won’t be any extra charges with this estimate and you need to be happy with that fee before the work can begin. E-waste recycling shouldn’t be left to the amateurs. Let the pros from Junk King get the job done right. This entry was posted in Uncategorized and tagged E-Waste Recycling In Palm Beach on April 18, 2014 by Dave Archer. Last updated July 31, 2017 . Did you know Junk King pioneered the concept of eco-friendly junk removal? That means when we remove waste from a property we also make our best effort to recycle those items. We recycle appliances, e-waste, paper products, household goods, textiles, metals and more. Not all junk haulers were created equally. 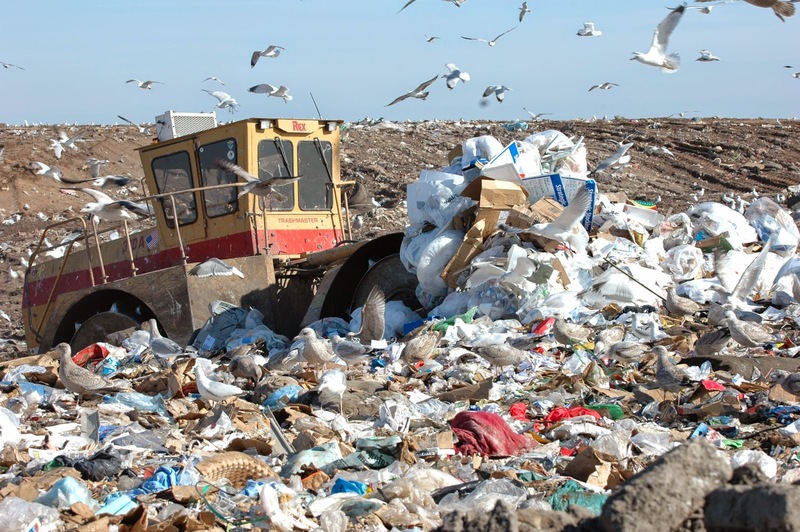 Junk King is committed to keeping as much waste out of the landfills as possible. We don’t just pick up and dump. We take the time to sort through our daily collections and identify anything and everything that is reusable. Sometimes it works out that we are able to recycle and, as a bonus, specifically help others in our own community. Recently we were able to take a truckload of materials to Palm Beach Harvest. Palm Beach Harvest is a wonderful nonprofit, community-based organization of volunteers who distribute food and other resources to families in need. In a nutshell, you can feel good about calling us. And you don’t have to worry about what we can and cannot take. We can take everything except hazardous wastes. This entry was posted in Uncategorized on April 4, 2014 by Dave Archer. Last updated July 31, 2017 .